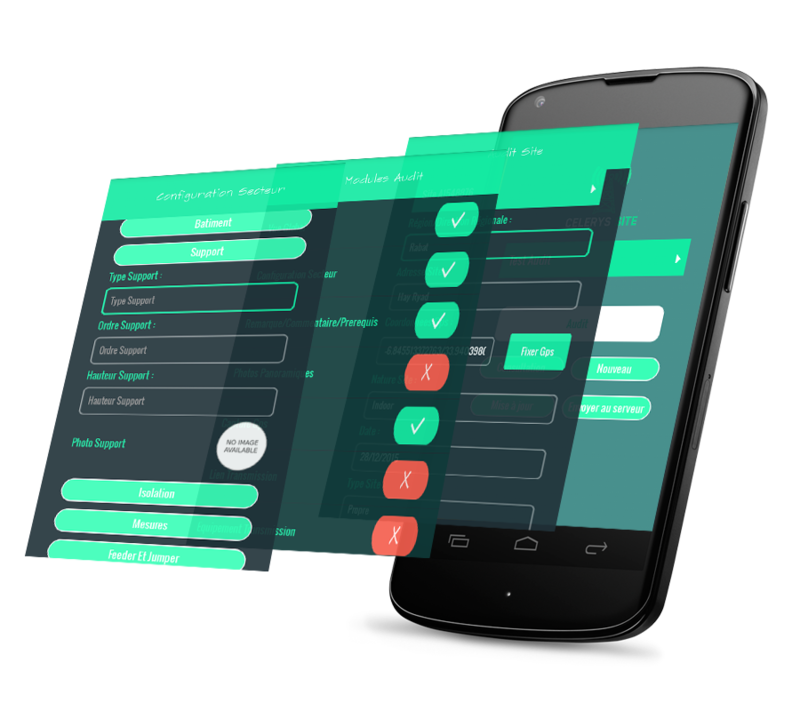 CELERYS SITE mobile application designed for field operation. It offers various tools for Network rollout, Site auditing and field teams follow up and management. Data is exchanged with SITE EXPLORER tool for reel time analysis and management. SITE EXPLORER is a global analysis platform for real-time network rollout, site auditing and project management. It collects data from Celerys Site, Project management Database and OSS Data and provide interactive interface for visualization, analysis and reporting.